12-panel design for true and accurate ball flight. Nike Aerowtrac grooves help improve flight stability. 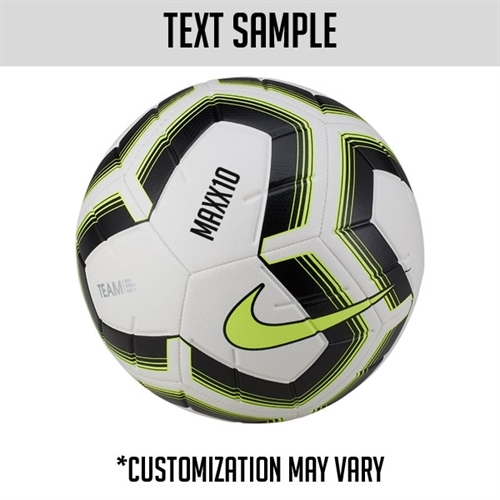 Visual Power graphic helps you easily track the ball. Butyl bladder provides air and shape retention. Textured casing offers optimal touch. 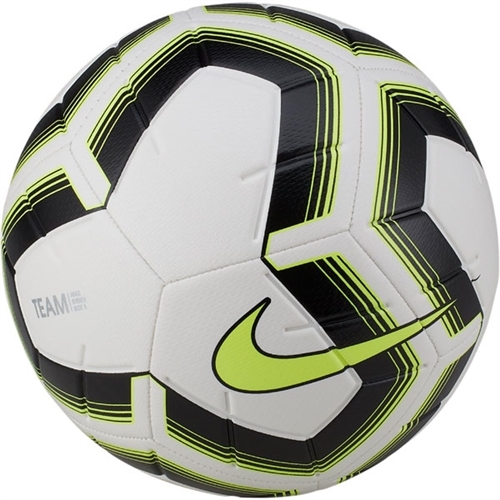 Our Nike Team Strike Soccer Ball is ready for everyday play with its Visual Power graphic for better ball tracking and a reinforced rubber bladder for a consistent feel and great shape retention.